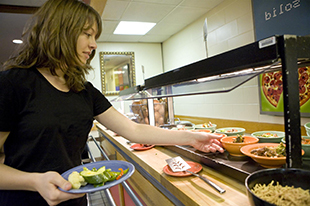 Some students are looking for a traditional college residential experience. This year, we are partnering with Pine Manor College (PMC) to make an ideal living situation for first-time undergraduates, international students, and others who seek an alternative to commuting long distances by car. 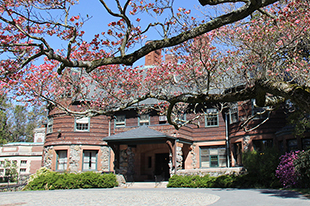 Pine Manor College is in nearby Brookline, MA in Chestnut Hill, a quiet, safe, and elegant part of town. The BAC is a 30-minute ride on the MBTA D green line train to the Hynes stop, right on our block. In addition, students may have cars on Pine Manor's campus. 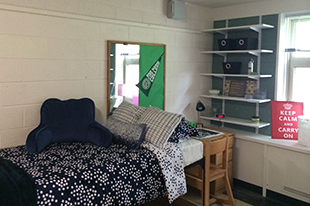 Each residence hall is shared with approximately 30 other students. Double and single rooms, both with shared bathrooms, are available. August 19, 2016—in time for CityLab! A non-refundable housing deposit of $500 must be submitted in order top secure a room. Since the deposit deadline of May 16 has passed, please keep in mind that housing is not guaranteed, but the BAC will be in contact with you following the submission of the Housing Application. For more information, please contact Jeff Morris, the BAC Coordinator of Student Activities, at 617.585.0272 or jeff.morris@the-bac.edu.